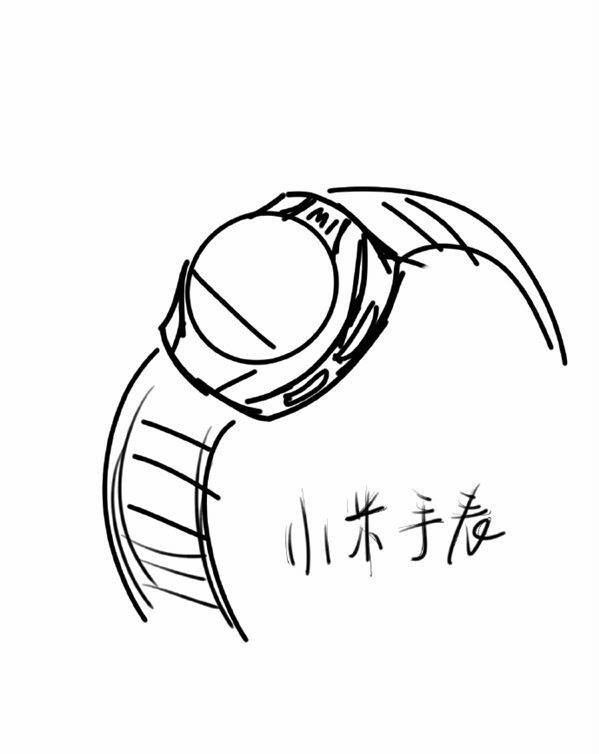 The Xiaomi smartwatch sketch leaked online earlier this week, prompting the tech world to ask questions about details and announcement timing. The sketch didn't tell us much, other than the Xiaomi smartwatch will have a circular display, two right side buttons, and something of a flat tire, but a new report gives us some tangible evidence to hang on to. According to DigiTimes, an infamous source behind Apple iPhone and iPad news in recent years, there are a few known Xiaomi smartwatch specs: a 1.3-inch, circular display, Qualcomm Snapdragon 410 processor, 512MB of RAM, metal strap, "a design similar to that of the Moto 360," long battery life, and a retail price of CNY999 (or $152 USD). This seems to be quite a competitive price for its smartwatch, but some specs seem to match what we already see on the market. The 1.3-inch display is slightly wider than Samsung's Gear S2 (and a slightly smaller display than the Moto 360), but the Qualcomm Snapdragon 410 processor and 512MB of RAM are common to all current Android Wear smartwatches on the market (with an exception here or there). Qualcomm has unveiled the Snapdragon Wear 2100, so Xiaomi's choice to opt for a Snapdragon 410 seems to put the company's smartwatch in something of a low-powered territory as compared to the upcoming onslaught of Android Wear smartwatches. Samsung's Gear S3, as we've seen, will bring an Exynos processor that will likely have more raw power behind it than the Snapdragon 410 (which can be found in not only the Moto 360 but also the LG G Watch, G Watch R, Watch Urbane, Watch Urbane LTE, Asus ZenWatch 1 & 2, and Sony Smartwatch 3, among others). With the Xiaomi smartwatch being similar to the Moto 360's design, we have no doubt that it'll catch the eye of consumers who have fallen in love with the Android Wear-powered Huawei Watch. What we've heard, though, is that Xiaomi will go with its own MIUI which just may throw off consumers hoping for a more budget-friendly alternative to current Android Wear smartwatches. Also, keep in mind that the Moto 360 has wireless charging -- so Xiaomi will have to bring wireless charging to its smartwatch in order to win over the Motorola-loving crowd. Without wireless charging, that'll be hard to do. And yet, for $152, we don't know of too many consumers who will complain. The Xiaomi smartwatch will be unveiled in September, though we expect to fill in even more holes in the coming days and weeks. Would you be interested in a metal Xiaomi smartwatch with a $152 price tag? Would the lack of Android Wear ruin your interest in this watch, or would the price win you over regardless of the compromises?